With the way rain and snow have impacted the baseball schedule this spring, it might seem like Mother Nature has been the only winner. But the Madison College baseball team has won plenty as well, despite having to work around a fluid schedule. The WolfPack has won 13 of its last 15 games to improve its record to 17-6 overall, including an eight-game winning streak. 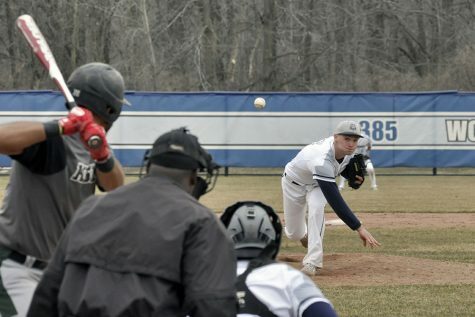 Madison College’s latest stretch of games included an impressive 9-4 victory over the University of Wisconsin Club Team in a nine-inning game played at Robin Roberts Field on April 16. The WolfPack led throughout the game, scoring one run in each of the first five innings to take a 5-2 lead. A three run outburst in the sixth inning and one more run in the seventh completed the scoring for Madison College. Freshman Evan Richarz had a strong game for the WolfPack, going 3-for-4 with two RBI, three runs scored and a double. Three other Madison College players hit doubles in the game: Dylan Detert, Greg Rhude and David Luciani. The WolfPack had 14 hits in the game and drew six walks. Hayden Hughey pitched the game and earned the win, giving up just two runs on four hits. 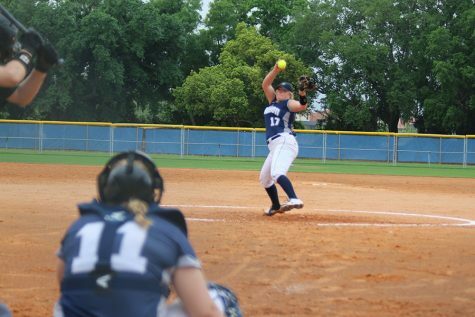 Three Madison College pitchers combined efforts in a 4-2 victory over Parkland College in the first game of a doubleheader at home on April 20. Corey Fischer started the game and earned the win, giving up just one run on three hits in five innings. Then Jameson Sadowske and Dan Schmidt each pitched an inning of relief to preserve the win, with Schmidt picking up the save. WolfPack made the most of its three hits in the game, taking advantage of eight walks issued by Parkland College. The second game of the doubleheader resulted in Madison College’s first loss in nine games as Parkland scored 13 runs on 13 hits to win 13-5. Madison College’s Ryan McShane had a strong game, going 2 for 3 at bat and hitting a double. Cody Peterson pitched a complete game shutout as Madison College beat Rock Valley College, 6-0, in the first game of a doubleheader on April 20. Peterson gave up just three hits and struck out nine. Madison College had 13 hits in the game, led by Dylan Detert and Dan Schmidt, who each had three hits. Madison College scored a run in the bottom of the seventh inning to take a 2-1 victory in the second game of the doubleheader against Rock Valley. It was the first run of the game since the top of the second and preserved a pitching gem for Nathan Hoffmann. Hoffmann allowed just one run, scattering five hits. 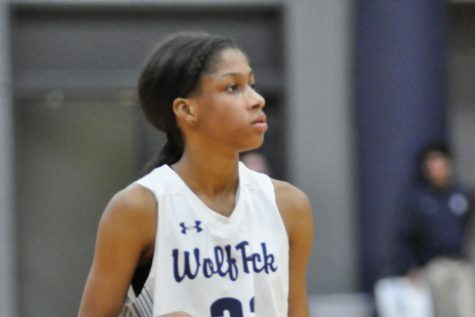 The WolfPack had an answer when it needed one in the first game of the team’s double header against Carl Sandburg College at home on April 14. Carl Sandburg scored 3 runs in the top of the third inning to take a 5-3 lead, but Madison College responded with 3 runs of its own in the bottom of the inning to regain the lead. Madison College then added a run in both the fourth and fifth innings to secure the 8-6 victory. Nathan Pollock led the WolfPack with three hits, including a double, and three RBI. The second game of the doubleheader saw another rally by the WolfPack. Madison College trailed, 5-1, before scoring four runs in the third inning to tie the game. After exchanging the lead in the fourth and fifth innings, Madison College took command by scoring four runs in the bottom of the sixth for an 11-8 win. Taylor Carlson hit two home runs in the game, while Luke Syens also homered. Other extra base hits came from Ryan McShane, who had a triple, Evan Richarz, who had two doubles, and Dan Schmidt and Syens, both of whom doubled once. Madison College scored four runs in the first inning, the fourth inning and the fifth inning for a 12-2 win over Joliet Junior College at home on April 13. McShane and Evan Richarz led the team offensively. McShane had two hits, drove in two runs and scored once. Richarz also had two hits, including a double, and two runs scored. Dan Schmidt hit a game-winning sacrifice fly to drive in Danny Krause to give the WolfPack a 2-1 eight-inning victory over Joliet in the second game.